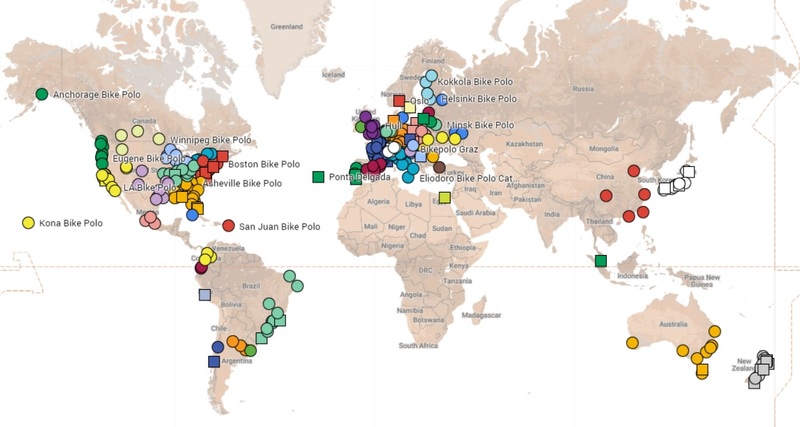 The World Bike Polo Organizing Committee have received three bids to host the 9th World Hardcourt Bike Polo Championship. The committee is composed of representatives from NAH, EHBA, AHBPA, AsiaHBPA, and BPLA. The last two continental regions to host (NA and Aus/NZ) were not eligible to bid unless there were no competitive bids submitted. Fortunately there was a huge response, and we have three excellent candidates to host then next world championship! All bidders are offering venues with three to four courts, and with host dates in August-September 2019. The committee is now asking the bidders to expand on the information provided, including providing pictures of the venues, and we will present final bids for a vote starting 01-July-2018 and closing on 31-July-2018. Todos los postores ofrecen lugares con 3 a 4 canchas y fechas en septiembre de 2019. El comité ahora está solicitando a los postores que amplíen la información provista, incluyendo la provisión de imágenes de los lugares. Presentaremos las ofertas finales para la votación que comenzará el 1 de julio de 2018 y finalizará el 31 de julio de 2018.